A genuine heavyweight contest awaits on Monday when three-time champions Iran meet record four-time winners Japan in the opening semi-final of Asian Cup 2019. The former roared into the last four when they produced the tournament’s defining performance to date, a 3-0 humbling of China. In contrast, Samurai Blue required the help of the video-assistant referee to defeat emerging Vietnam 1-0 thanks to a Ritsu Doan penalty-kick. 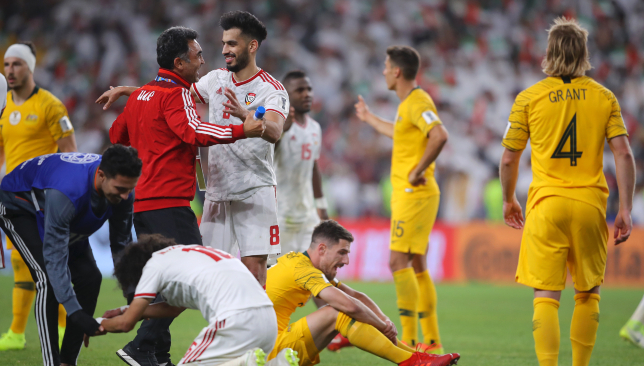 Iran’s pained relationship with the Asian Cup is exemplified by the fact Japan have claimed a leading quartet of triumphs in the time since their last success – and with 16 years to spare. Team Melli were victorious in every match they played from 1968-76. Continental greats in 109-goal Ali Daei, magician Ali Karimi and the indefatigable Jalal Hosseini are among those to have been produced since. All have, perplexingly, failed to even make another Asian showpiece. This gap is also keenly felt by head coach Carlos Queiroz. The Portuguese made history by securing successive entries to World Cups, but 2015’s epic quarter-final continental loss to Iraq is a black mark on his otherwise unprecedented eight-year reign. Japan have not gone more than one running without overall victory since 1992. A new generation has been groomed for success in the Emirates, led by winger Doan and centre-back Takehiro Tomiyasu. The likes of Shinji Kagawa, Keisuke Honda and Makoto Hasebe either have retired or been snubbed, but aspirations of success remain. Joy in the Emirates is billed as the perfect springboard to the Tokyo 2020 Olympics and World Cup 2022. A cursory review of the nations’ records in the UAE points towards a tense contest at the Hazza. Iran have become only one of three teams in the competition’s 63-year history to go through their first five matches without conceding. Japan – also unbeaten – have gone one step further and are now the only side to win five-successive games by a single-goal winning margin. A noticeable difference between the World Cup regulars, however, emerged in the previous round. 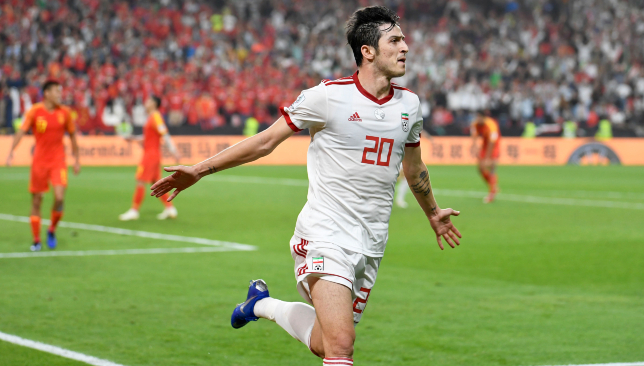 Iran showed they possess another gear against China, notching 18 attempts on goal as the likes of Mehdi Taremi – banned for this clash – and four-goal Sardar Azmoun ran rampant. They played at a tempo that staid Japan have not been able to exhibit. Japan boss Hajime Moriyasu has operated a revolving-door policy up top. Established Werder Bremen forward Yuya Osaka has nursed injury since scoring twice in the 3-2 opening win against Turkmenistan, Red Bull Salzburg’s Takumi Minamino’s finishing was comically bad in the 2-0 win against Oman and Yoshinori Muto scored against Uzbekistan and then got suspended. Consistency, however, has been key for Iran. Azmoun’s combination of elite hold-up play and ruthless finishing makes him irreplaceable. The decision to convince the 24-year-old to renege on his retirement after a disappointing World Cup could make the difference for them against Japan – and the tournament at large.